Melt peanut butter and butter in saucepan, over low heat. In large bowl, mix crispy rice cereal and confectioners' sugar well. Pour melted peanut butter and butter over cereal and sugar and blend together thoroughly. Form into 1 inch or smaller balls, spread on cookie sheets, chill till firm in refrigerator (over night is okay). 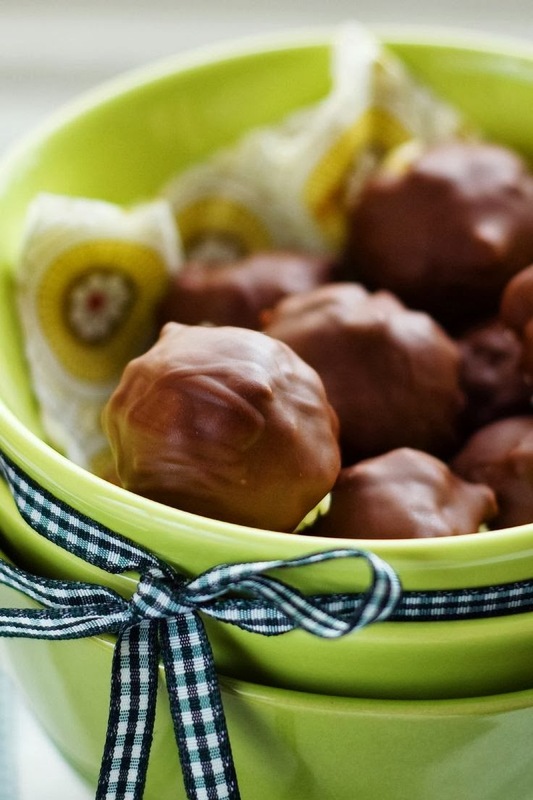 Melt chocolate in double boiler and keep melted while working with balls. A teaspoon is best to use in dipping the balls in chocolate. Dip good and place on cookie sheet. As you dip them place them back on cookie sheet and keep chilled till firm.